Thus commenced the single most successful political hoax in our history – the making of a parvenu patriot. His remarkable political success was due to his phenomenal ability to silence dissent by methods both good bad and absolutely ugly. Lest we forget, we who did not agree with the affable autocrat, lived in fear. We collectively surrendered our capacity for analysis of events. Fear paralyzed our will to resist. Until 8th January denial was mandatory. It is only in the past six months that we dared to speak of what frightens us. With the looming threat of a return of the brutal ‘Bodhisatva’ it is high time that we dismantle false history. The political charlatans who wrote their own laws, undermined judicial decisions of the few judges who defied executive intimidation, now promise a new country and a new beginning. The divisive language of ‘us’ and ‘them’ is again crawling in to mainstream politics. This is Buddhist country. ‘Devadaththa’ too could aspire high! As conceded by himself in the interview with the Editor of the ‘Hindu’, Mahinda did not win the war. Prabhakaran lost the war. Mahinda shoud be stopped in his tracks. Of all leaders of independent Sri Lanka, President Mahinda Rajapaksa is clearly fortune’s favourite. 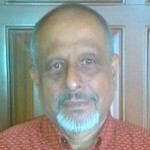 Four Presidents JR Jayewardene , R Premadasa, Chandrika Kumaratunga and D. B. Wijetunge were confronted by a Prabhakaran who was demanding a piece of territory. 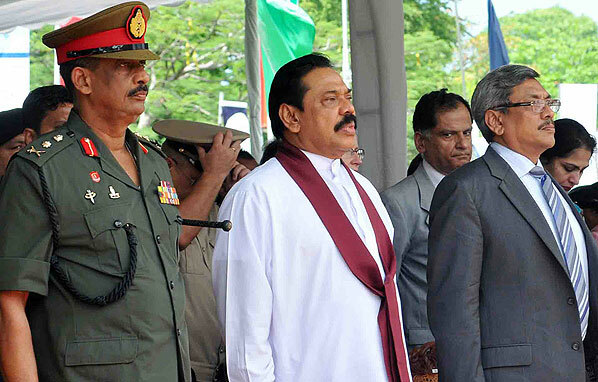 President Rajapaksa confronted a Prabhakaran who was defending a territory with international monitors playing referee. That explains President Rajapaksa’s quandary as to why Prabhakaran was ready to fight a trench war instead of the shadow war of a guerilla. It was also the good fortune of President Mahinda Rajapaksa to have contested the presidency when a wide swathe of territory was under the effective control of an implacable terrorist who preferred him as against his opponent. The interview given to the Hindu is available in the public domain. That he was satisfied with the detailed report is evident from the fact that soon after the interview the eminent Indian scribe earned the “Sri Lanka Rathna “. Wars can be won or lost for a variety of reasons. The Americans lost the war not in Vietnam but in the streets of Washington. General Giap – the Red Napoleon says as much in his memoirs. This writer has many reservations about Mr. Ranil Wickremesighe. The CFA may have been deeply flawed. Yet, it is the cease fire agreement of Ranil Wickremesinghe that entrapped him in a situation where he had no ‘strong rear ‘. The Ram interview published by the Hindu in three parts makes interesting reading. There is a revealing intervention by Lalith Weeratunge. Mahinda Rajapaksa did not win the war. He stumbled on victory. That explains the jailing of the General.